Discussion in 'Announcements' started by Eoj Charlie, Dec 5, 2018. I'm pleased to announce that Harpoon will be hosting a Community Art Contest. So for all you talented artists, Source Film Makers, and creators, we're looking for you! 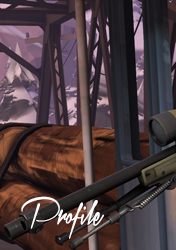 First, there are three categories of submissions: Art, SFM, and Screenshots. There is also a theme for your submissions. The theme for this time around is "The Harpoon Holiday Season". You create your work of art. Note the form asks you to login, this is required because of the image upload, we are unable to modify this. Submissions will be reviewed. We'll make sure they follow our rules and fit the theme ("The Harpoon Holiday Season"). After the submission period has ended, submissions will be posted in Discord, and we'll have a voting channel where anyone can vote on their favorite submissions. 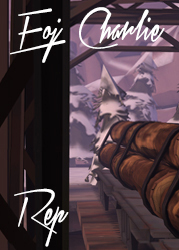 For the submissions with the most votes in the Art and SFM categories, their creators will receive four TF2 keys. For the submission with the most votes in the Screenshot category, its creator will receive one TF2 key. The submission period will run from today, December 5th, to December 22nd. The voting period will run from December 23 to January 1. (These dates may be subject to change). Anyone who is marked, cautioned, or currently banned from Harpoon is not eligible. Anyone else (including Harpoon Staff [except the organizers]) is eligible. We reserve the right to disqualify anyone from entering if we deem it necessary. There may be no NSFW content in your submission. Your submission may not be mean spirited, or used to target or insult a player or member of staff. 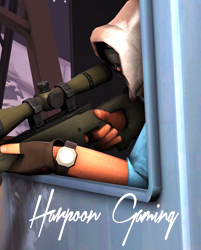 All submissions must abide by the Harpoon Gaming rules; They may not depict any rule breaking and/or include actions/statements that would break the rules. No passing off someone else's work as your own. Ties will result in a tie breaker vote. We reserve the right to amend these rules if the need arises. Can I submit multiple times to different categories/to the same category/etc? Yes, you can submit multiple times to any category you like. The only restriction is that there is a max of 3 submissions to the Screenshot category per person.